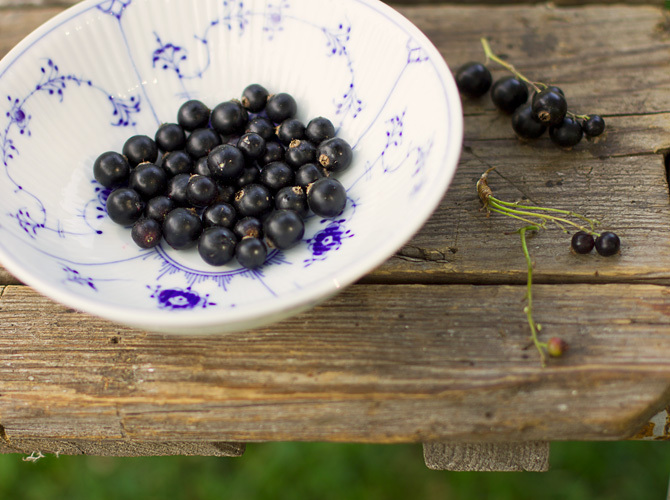 Blackcurrants have been so sweet like no other summer. Dry weather seems to have had a good effect on them, concentrating the sugars. I made litres and litres of juice to be used in winter, many tins of freezer jam and quite a few desserts as well. 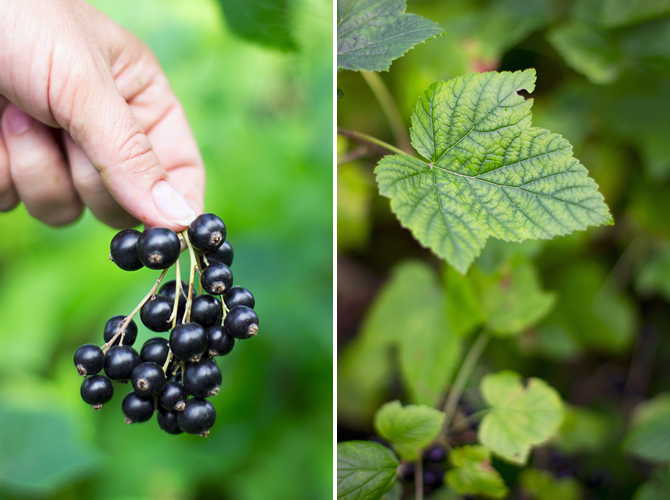 Containing more vitamin C than kiwis, blackcurrants have a very intense flavour with a sweet herb-like aroma. I can't think of any other berry quite like it. Unfortunately it is not very well known or appreciated. 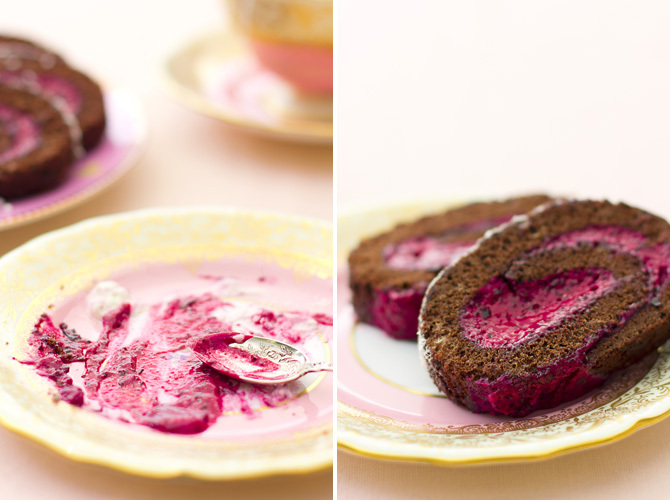 Last time, just before my vacation, I whipped it into a mousse and used it in a chocolate Swiss roll. Leftover mousse was turned into trifles. 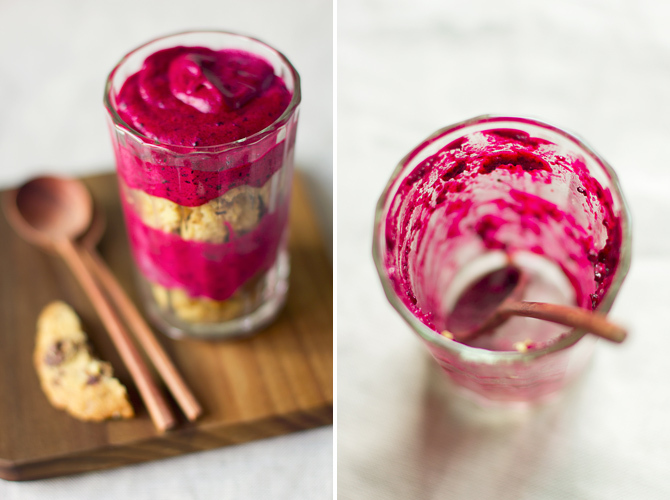 Sweeten the blackcurrant purée to your liking. Soak gelatine in cold water for about 5 minutes. Heat half of the purée to about 50°C. Melt gelatine in the warm purée. Add the rest of the purée to the mixture. Let cool. Whisk egg white to stiff peaks, adding some sugar and lemon juice until glossy. Whisk double cream to firm peaks using a bit of icing sugar. 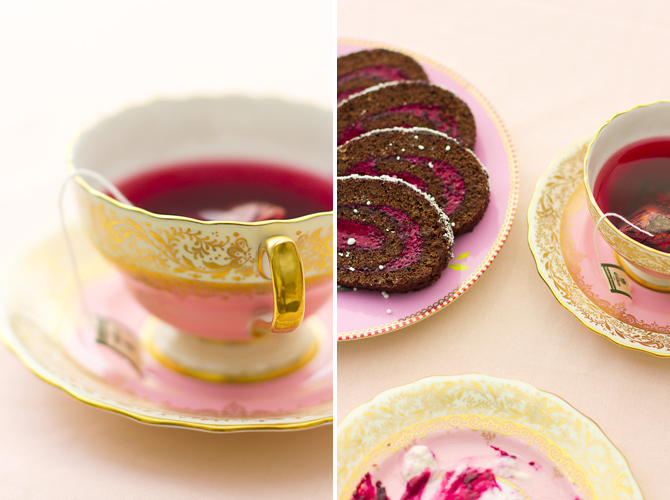 Gently fold egg white and whipped cream into the blackcurrant mixture. Let stand in the fridge for about half an hour. Pre-heat oven to 180°C. Grease a baking tray and line with parchment paper. Whisk egg yolks and sugar until thick and pale. Fold in cocoa, flour and potato flour. Add the chocolate. Whisk egg whites to soft peaks, then gently fold into the chocolate mixture. Spoon batter onto the baking tray and level with the back of a spoon. Bake for 10 to 12 minutes. Dust with sugar, then cover with another sheet of parchment paper. Invert onto a work surface, then gently peel the other paper from the bottom of the sponge. Use a towel to roll up the sponge, together with the parchment paper, while still warm. When cooled down a bit, remove the towel and the parchment and generously fill with the mousse. This looks so colourful!! 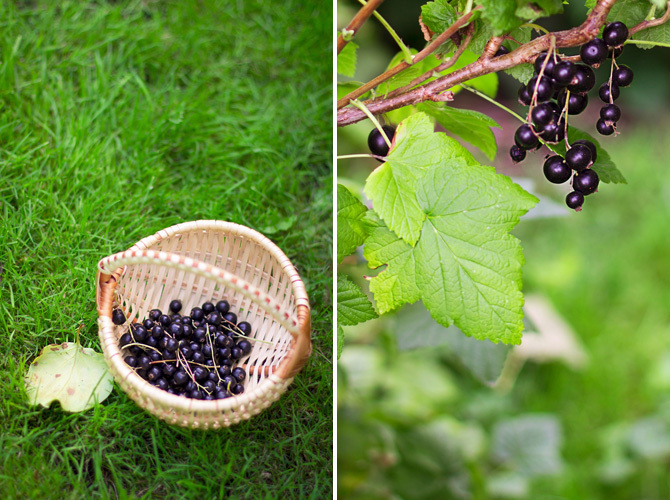 Blackcurrants! mmmm...yummy!